On Tuesday's St. Louis on the Air, we'll look at the use of tax increment financing in St. Louis. On Tuesday’s St. Louis on the Air, we turned our attention to the use of tax increment financing (TIF) and tax abatement as an economic development tool. Is it used too much in St. Louis? Is it used in the best way possible? We spoke with two people who have different perspectives on the subject. 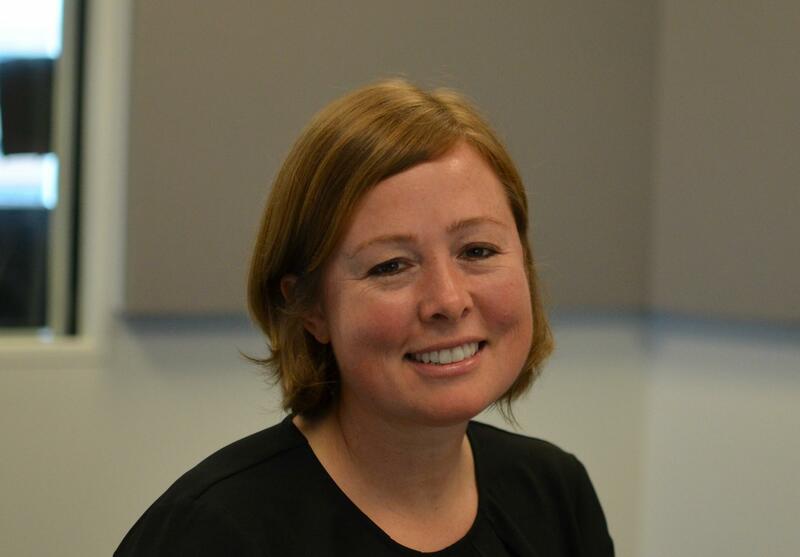 Molly Metzger is an assistant professor at the Brown School of Social Work at Washington University. She’s also a member of Team TIF. Team TIF was started to improve transparency and racial equity in St. Louis through how tax incentives are used. Otis Williams is the director of the St. Louis Development Corporation. SLDC is the economic development arm of the City of St. Louis, which oversees TIF and tax abatement implementation. What is tax increment financing and how is it at work in St. Louis? Is it used too much? In the right ways. On St. Louis on the Air, we talk with two people with differing perspectives about this development tool. First, a definition: Tax increment financing is used all over the country. Generally speaking, it is a public financing method used as a subsidy for redevelopment, infrastructure and other projects. With a TIF, property taxes within a TIF District are frozen for 23 years and the property owners make tax payments instead into a special allocation fund which, in the City of St. Louis, is managed by the comptroller. Fifty percent of local Economic Activity Taxes (local sales, earnings and payroll taxes) also go into that allocation fund. Developers are then reimbursed for “eligible” project costs from that fund, such as surrounding infrastructure, or to pay back debt. Williams said, in St. Louis, no more than 15% of a proposed project’s cost should come from the allocation fund. It takes four to six months to apply for TIF and requires legislation from the City of St. Louis’ Board of Alderman. Tax abatement is different from this process. In the City of St. Louis, tax abatement occurs when, for a period of time passed by law through the Board of Aldermen, taxes are frozen at the level they currently are when a project is proposed in either a commercial or residential development. In the $100 analogy, if a person or property is paying $100 in taxes, only that $100 continues to be paid, “abating the increase” in taxes. There’s no special allocation fund for the increase in taxes that would come about with increased property value. After the specified period is up, the developer or homeowner goes back to paying full taxes. TIF and tax abatement are generally used as a way to incentivize development in the city when no other development would likely take place without the incentive. Williams said that these incentives are offered city-wide for any project that would be TIF or tax abatement-appropriate. In the case of TIF, that generally means for projects with a cost north of $1 million. 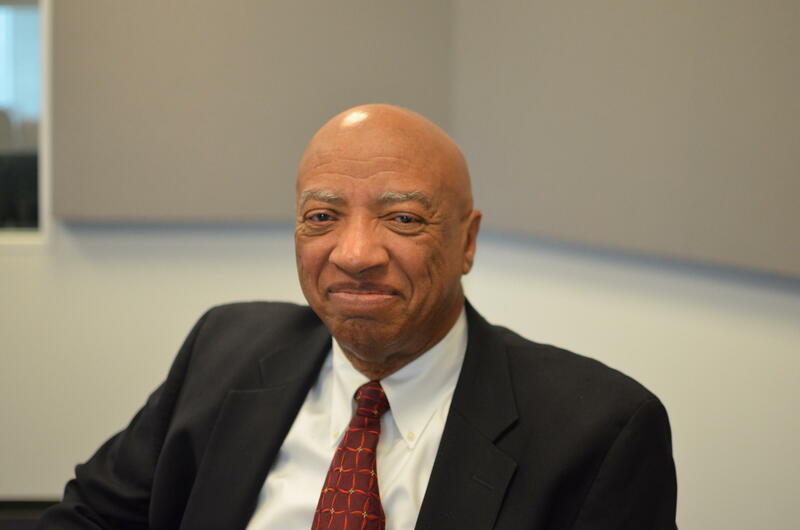 Otis Williams, director of the St. Louis Development Corporation. Williams said that by using TIF in the central corridor (the area of St. Louis leading from downtown to Forest Park), St. Louis is “setting the stage” for desire to start development there and move north or south. But that’s not happening very often. Metzger, whose organization Team TIF STL advocates for racial equity and transparency in the TIF and tax abatement process, said that 84 percent of TIF dollars and 70 percent of tax abatement dollars go to that central corridor area. “That’s a significant percentage of hundreds of millions of dollars,” Metzger said. She said that in St. Louis and around the country, historically, public policies have created and perpetuated segregation and that Team TIF is trying to bring to the conversation about how public policy could be crafted more judiciously to make sure that isn’t happening with how TIF and tax abatement are applied in St. Louis. Molly Metzger, assistant professor at the Brown School of Social Work at Washington University. She’s also a member of Team TIF. Metzger applauded this approach by the city but said that there were other elements of public policy that would need revising. For one, the City of St. Louis’ Comprehensive Plan, which falls under the St. Louis Development Corporation, has not been revised since 1947. It should be noted that other plans, such as the Strategic Land Use Plan, which falls under St. Louis’ Planning and Urban Design Agency and notes plans for block-by-block, have been written more recently. Williams said the city has a desire to implement such a new Comprehensive Plan. Metzger believes that such tax incentives are keeping property owners from developing their vacant lots, in some cases. Are TIF and tax abatement worth it? Some have criticized the use of TIF and tax abatement as giving incentives to wealthy developers by taking away much-needed tax dollars for education and public safety. Is St. Louis giving away too much for the sake of investment? Metzger argues, yes, especially because 72 percent of tax abatements have gone to the central corridor. Williams, on the other hand, said that tax abatement and TIF are a big part of why you see a more developed and dense central corridor today versus 15 years ago. She said that it is not just a question of if a specific development project would have happened if TIF or tax abatement was not offered but, would some other development have happened? Williams said that even in high-density places like the Central West End, you’ll most often find that investments still have not occurred even if 10-15 years have gone by with a vacant lot sitting there, prime for development. “The only way it will happen is with the incentive,” Williams said. He pointed to the example of downtown St. Louis which, in 2001, had 150 buildings that were vacant. After using a number of TIF and tax abatement ordinances to combat that, downtown St. Louis is now down to fewer than 24 vacant buildings. “We want to make sure it is revenue neutral or a benefit to the city but want to make sure it benefits the district,” Williams said. Metzger said other cities have taken a more proactive approach to protecting school funding. In Kansas City, for example, tax abatement is capped at 75 percent of the tax. In St. Louis, developers can get 100 percent abatement. From 2000-2015, the City of St. Louis gave away $401.6 million in TIF and $307.5 million in tax abatement, according to the city’s economic incentives report released in May 2016. “The amount of investment that’s comparable to that, we’re talking billions of investment,” Williams said. Metzger said the report did not fully parse out the economic benefit to St. Louis in exchange for those incentives. In the past session, five TIF projects and 88 tax abatement projects were approved in the City of St. Louis. Washington University’s medical campus in St. Louis will be getting a lot of new neighbors in the next couple of years, thanks to a new mixed-income development plan nearby. The $27-million project will include 150 units of housing to buy and rent for both low- and middle-income residents in the Forest Park Southeast neighborhood. It aims to continue in the southern part of the area the revitalization seen in The Grove’s shopping and entertainment district to the north. Updated Jan. 3, 2017 with County Council action: The St. Louis County Council did not vote on designating Jamestown Mall as blighted at the weekly council meeting Tuesday. Newly elected council member Rochelle Walton Gray, D-Blackjack, requested more time to review information about the proposal. The council will take up the matter at a later date. Plans to redevelop the vacant Jamestown Mall near Florissant could soon take shape. St. Louis County officials say they hope to complete the legal steps necessary to own the entire mall property within months. The first step is officially classifying the mall as blighted, which allows the county to use eminent domain. The County Council has scheduled a hearing at 4 p.m. Tuesday in its chambers in Clayton to get public input. Later that evening the council is scheduled for a final vote on the matter.